Socialism and 万圣节前夕. 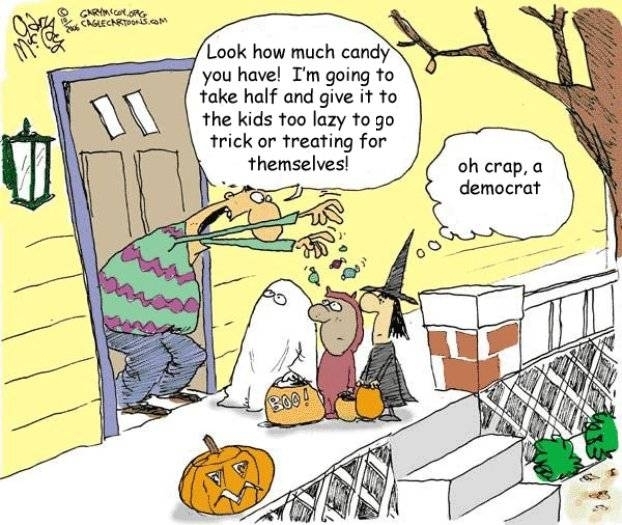 My aunt sent this to me last Halloween. Made me giggle, because its so right.. Wallpaper and background images in the U.S. Republican Party club tagged: politics conservative republican liberals socialism halloween. This U.S. Republican Party photo contains 动漫, 漫画书, 漫画, 卡通, and 漫画卡通. LOL! That reminds me of a video Steven Crowder did! It looks so similar! link SO FREAKING FUNNY!